Zombies games are still fashionable, and after the success of 3D World Horse: Riding My Horse in May last year, Tivola Publishing GmbH has chosen this undead’s world for their new apocalyptic game. 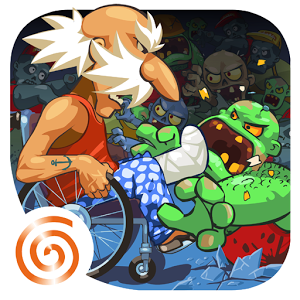 Grandpa and the Zombies has a simple argument: the Gradpa protagonist wakes up in a hospital’s room with a casted leg and a horde of zombies at the door of his room. His only way out is to take a wheelchair and run. This is the beginning of the game, and from here on we will help him out of a lot of potentially dangerous situations, guiding him through rooms full of zombies who want to eat his brain. And if that is not enough, while he is trying to escape from the zombies he will also take the opportunity to collect candies, taking all the necessary detours to ensure a good candy supply. 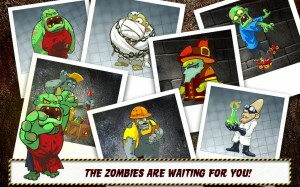 The game has 90 levels, all riddled with zombies from whom we need to make him escape by using everything at our disposal. 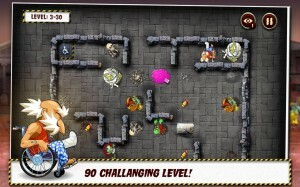 The scenarios are puzzle style, where we have to take advantage of the obstacles and dangers to reach the elevator. Some zombies have special properties that we can exploit to our advantage, while with others we simply will try to disorient them while simultaneously collect the sweet candies. Not to mention some zombies particularly difficult, as the Halitosis Jack or Forklift of Evil. The controls are very simple. Drag your finger across the screen to launch our protagonist in one direction, and he will advance straight until he encounters an obstacle, either a wall or a zombie blocking his way. We can easily challenge our friends to a wheelchair duel through social networks. The game is available for Android, iPhone, and iPad for only $0.99. You can get it from the Google Play and the App Store respectively.